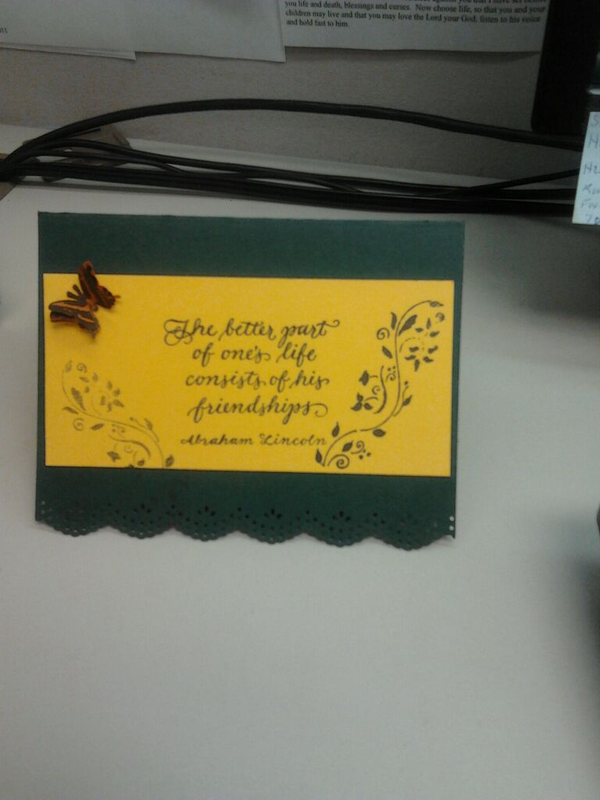 I made this friendship card while I was at work. 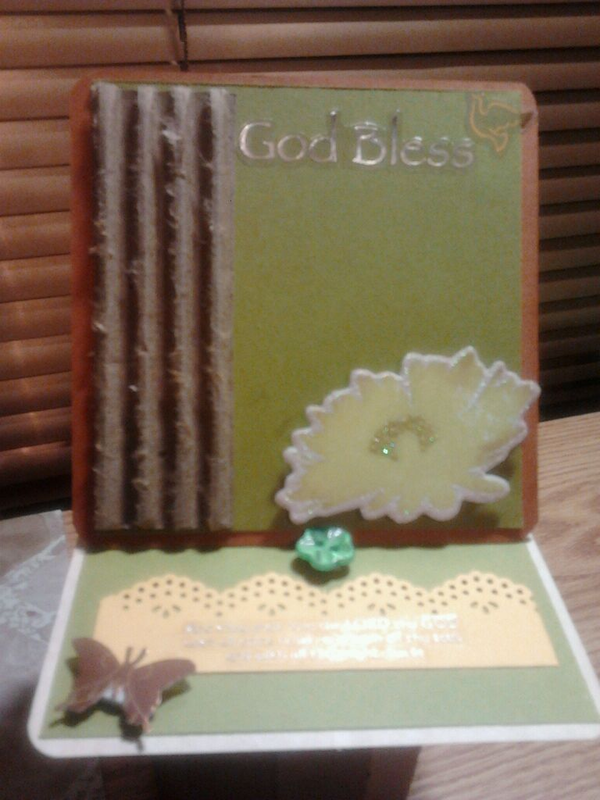 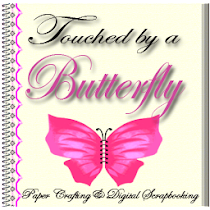 The butterfly is from my Martha Stewart punches and I also used her punch on the bottom of the card. 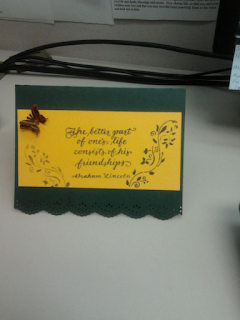 The sentiment is froma stamp that I have and so are the vines. be able to give them credit.